This just in: The board of the Oregon Flower Growers Association, the Portland-based, farmer-owned wholesale hub, is joining American Flowers Week with a special design competition highlighting Oregon-Grown Flowers! “We wanted to do something fun to help celebrate American Flowers Week and promote Oregon flowers,” says Sandra Laubenthal, OFGA board president and a third-generation cut flower grower whose family owns Peterkort Roses. 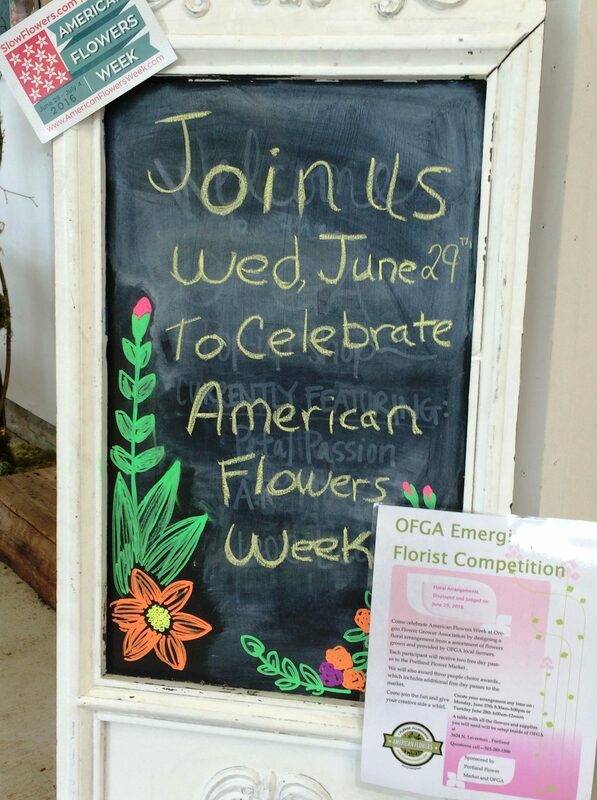 The OFGA’s “Emerging Florist Competition” is an invitational that celebrates American Flowers Week. Floral entries can be created between 5:30 a.m. and 3 p.m. on Monday, June 27th or between 6 a.m. and Noon on Tuesday, June 28th and will be displayed and judged on Wednesday, June 29, 2016. Participants are invited to design a floral arrangement from an assortment of flowers grown and provided by OFGA local farmers. Flowers and supplies will be provided and emerging designers who participate will receive two free day passes to shop at the Portland Flower Market where OFGA is based. Three “People’s Choice Award” winners will receive additional free day passes to shop at the Portland Flower Market. Sponsored by Portland Flower Market and OFGA. For more details, contact the OFGA staff at 503-289-1500.